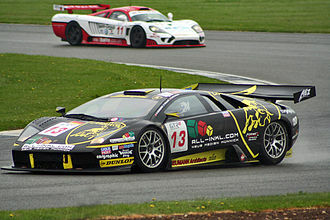 For the Italian motorcycle racer, see Ferruccio Lamborghini (motorcyclist). Ferruccio Lamborghini (Italian pronunciation: [ferˈruttʃo lamborˈgiːni]; April 28, 1916 – February 20, 1993) was an Italian industrialist. Born to grape farmers in Renazzo, from the comune of Cento in the Emilia-Romagna region, his mechanical know-how led him to enter the business of tractor manufacturing in 1948, when he founded Lamborghini Trattori, which quickly became an important manufacturer of agricultural equipment in the midst of Italy's post-WWII economic boom. In 1959, he opened an oil heater factory, Lamborghini Bruciatori, which later entered the business of producing air conditioning equipment. In 1963, he most famously created Automobili Lamborghini, a maker of high-end sports cars in Sant'Agata Bolognese. 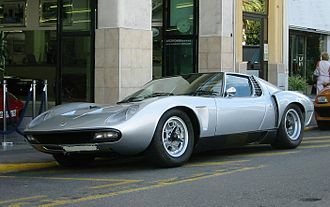 Lamborghini founded a fourth company, Lamborghini Oleodinamica in 1969. Lamborghini sold off many of his interests by the late 1970s and retired to an estate in Umbria, where he pursued winemaking. 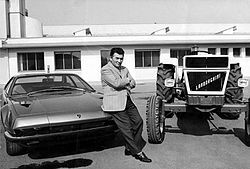 Ferruccio Lamborghini was born on April 28, 1916, to viticulturists Antonio and Evelina Lamborghini, in house number 22 in Renazzo di Cento, in the Province of Ferrara, in the Emilia-Romagna region of Northern Italy. According to his baptismal certificate, Ferruccio was baptised as a Roman Catholic four days later, on May 2. As a young man, Lamborghini was drawn more to farming machinery rather than the farming lifestyle itself. Following his interest in mechanics, Lamborghini studied at the Fratelli Taddia technical institute near Bologna. [Notes 1] In 1940 he was drafted into the Italian Royal Air Force, where he served as a mechanic at the Italian garrison on the island of Rhodes (territory of the Kingdom of Italy since 1911, after the Italo-Turkish War), becoming the supervisor of the vehicle maintenance unit. Lamborghini was taken as prisoner when the island fell to the British at the end of the war in 1945, and was not able to return home until the next year. 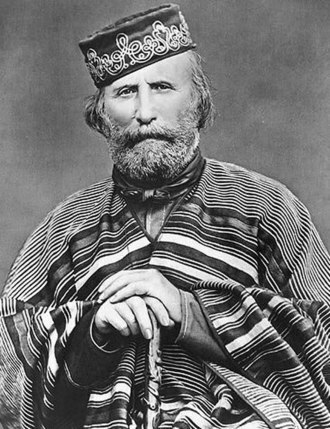 He married, but his wife died in 1947 while giving birth to his first child, a boy named Tonino. After World War II, Lamborghini opened a garage in Pieve di Cento. In his spare time, Lamborghini modified an old Fiat Topolino he had purchased, the first of many that he would own over the years. He made use of his mechanical abilities to transform the homely city car into a roaring 750-cc open-top two-seater, and entered the car in the 1948 Mille Miglia. His participation ended after 700 miles (1,100 km) when he ran the car into the side of a restaurant in the town of Fiano, in Turin. As a result, Lamborghini lost his enthusiasm for motor racing, a sentiment that would endure for many years to come. In 1947 Ferruccio Lamborghini recognized an emerging market in post-War Italy devoted to agricultural and industrial revitalization. Using parts from military vehicle engines and differentials from ARAR centres (Azienda Recupero Alienazione Residuati), Lamborghini built the first of his "Carioca" tractors, themselves based on the six-cylinder petrol engines of Morris trucks. As petrol in Italy was prohibitively-priced, Lamborghini augmented the Morris engines with a fuel atomiser of his own creation, which allowed the tractors to be started with petrol, then switch to the cheaper diesel fuel. 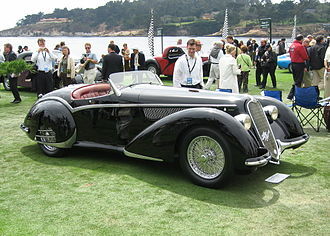 Based on the initial success of the Carioca, Lamborghini founded Lamborghini Trattori and began manufacturing tractors. The Iconic Riva Aquarama Lamborghini (Hull #278) was registered and delivered on 7 June 1968 to its famous owner Ferruccio Lamborghini. The boat had some specific and unique features. It was the first and only one fitted with two Lamborghini engines and it had special side railing for holding on to during waterskiing and record attempts. The engine compartment was modified to fit the engines and a special open exhaust was built just to meet Ferruccio’s demands. For over 20 years Ferruccio was the owner of this boat until he decided to sell the boat to a close friend in July 1988 named Angelo Merli. Several speedskiing records were broken and Ferruccio was very passionate about his Riva as part of his lifestyle and exponent of Italian craft and design, maybe even just as passionate as he was about his Miura. Lamborghini's increasing wealth allowed him to purchase faster, more expensive cars than the tiny Fiats he had tinkered with during his youth. He owned cars such as Alfa Romeos and Lancias during the early 1950s, and at one point, had enough cars to use a different one every day of the week, adding a Mercedes-Benz 300SL, a Jaguar E-Type coupé, and two Maserati 3500 GTs. Of the latter, Lamborghini said, "Adolfo Orsi, then the owner of Maserati, was a man I had a lot of respect for: he had started life as a poor boy, like myself. But I did not like his cars much. They felt heavy and did not really go very fast." 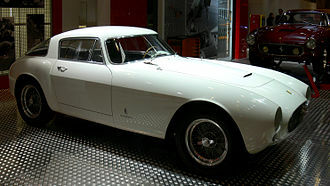 In 1958, Lamborghini traveled to Maranello to buy a Ferrari 250GT, a two-seat coupé with a body designed by coachbuilder Pininfarina. He went on to own several more over the years, including a Scaglietti-designed 250 SWB Berlinetta and a 250GT 2+2 four-seater. Lamborghini thought Ferrari's cars were good, but too noisy and rough to be proper road cars, categorizing them as repurposed track cars with poorly built interiors. Lamborghini found that Ferrari's cars were equipped with inferior clutches, and required continuous trips to Maranello for rebuilds; technicians would secret the car away for several hours to perform the work, much to Lamborghini's annoyance. He had previously expressed dissatisfaction with Ferrari's after sales service, which he perceived to be substandard. Lamborghini brought his misgivings to Enzo Ferrari's attention, but was dismissed by the notoriously pride-filled Modenan. [Notes 2] After successfully modifying one of his personally-owned Ferrari 250GTs to outperform stock models, Lamborghini gained the impetus to pursue an automobile manufacturing venture of his own, aiming to create the perfect touring car that he felt no one could build for him. Lamborghini believed that a grand tourer should have attributes that were lacking in Ferrari's offerings, namely high performance without compromising tractability, ride quality, and interior appointments. A clever businessman, Lamborghini also knew that he could make triple the profit if the components used in his tractors were installed in a high-performance exotic car instead. During the 1970s, Ferruccio Lamborghini's companies began to run into financial difficulties. In 1971, Lamborghini Trattori, which exported around half of its production of tractors, ran into trouble when its South African importer cancelled all its orders. In Bolivia, the new military government, which had recently staged a successful coup d'état, cancelled a large order of tractors that was being prepared for shipment in Genoa. Trattori's unionised employees could not be laid off, putting immense strain on the company. In 1972, Lamborghini sold his entire holding in the company to rival tractor builder SAME. Soon, the entire Lamborghini group found itself in financial trouble. Development at the automaker slowed as costs were cut. 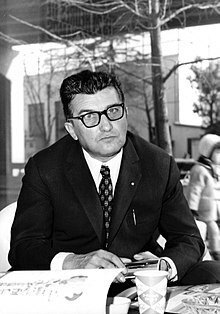 Ferruccio Lamborghini began courting buyers for Automobili and Trattori, entering negotiations with Georges-Henri Rossetti, a wealthy Swiss businessman and friend. 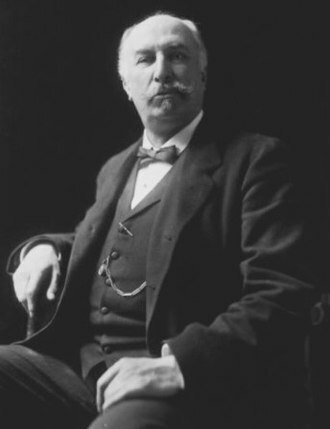 Ferruccio sold Rossetti 51% of the company for US $600,000, thereby relinquishing control of the automaker he had founded. He continued to work at the Sant'Agata factory; Rossetti rarely involved himself in Automobili's affairs. The situation did not improve: the 1973 oil crisis plagued sales of high performance cars of manufacturers from around the world. Consumers flocked to smaller, more practical modes of transportation with better fuel economy. By 1974, Ferruccio had become disenchanted with his car business. He severed all connections with the cars that bore his name, selling his remaining 49% stake in the automaker. The shares were acquired by René Leimer, a friend of Georges-Henri Rossetti. 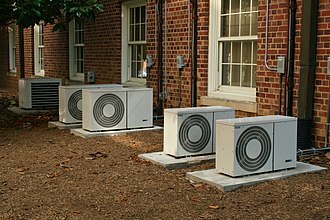 After departing the automobile manufacturing business, Lamborghini continued his business activities in other areas, including his heating and air conditioning company, Lamborghini Calor. In 1969, he founded Lamborghini Oleodinamica S.p.A., a manufacturer of hydraulic valves and equipment. Ferruccio retired to his estate, "La Fiorita" at Lake Trasimeno, continuing to manage his other businesses while pursuing personal interests. In 1974 Lamborghini exited the industrial world and retired to a 740-acre (3.0 km2) estate named "La Fiorita" on the shores of Lake Trasimeno, in Castiglione del Lago, a town in the Umbria region of central Italy. Returning to his farming roots, Lamborghini delighted in hunting and producing his own wines. Lamborghini even designed his own golf course, all while continuing to manage several business interests. Lamborghini fathered a child, Patrizia, at age 58. At 76 years of age, on February 20, 1993, Lamborghini died at Silvestrini Hospital in Perugia after suffering a heart attack fifteen days earlier. Lamborghini is buried at the cemetery of Renazzo. The world of bullfighting is a key part of Lamborghini's identity. In 1962, Ferruccio Lamborghini visited the Seville ranch of Don Eduardo Miura, a renowned breeder of Spanish fighting bulls. Lamborghini, a Taurus himself, was so impressed by the majestic Miura animals that he decided to adopt a raging bull as the emblem for the auto company he would soon found. After christening the Urraco after a bull breed, in 1974, Lamborghini broke from tradition, naming the Countach not for a bull, but for contacc, a Piedmontese exclamation of astonishment. Legend has it that stylist Nuccio Bertone uttered the word in surprise when he first laid eyes on the Countach prototype, "Project 112". The LM002 sport utility vehicle and the Silhouette were other exceptions to the tradition. The Jalpa of 1982 was named for a bull breed; Diablo, for the Duke of Veragua's ferocious bull famous for fighting an epic battle against "El Chicorro" in Madrid in 1869; Murciélago, the legendary bull who survived 28 sword strokes and whose life was spared by "El Lagartijo" for his performance in 1879; Gallardo, named for one of the five ancestral castes of the Spanish fighting bull breed; and Reventón, the bull that defeated young Mexican torero Félix Guzmán in 1943. The Estoque concept of 2008 was named for the estoc, the sword traditionally used by matadors during bullfights, While the replacement for the murcielago, the Aventador (unveiled in 2011) was named for a bull that was bred by the sons of Don Celestino Cuadri Vides. This bull was killed in a particularly gruesome fight, where after the bull was killed, its left ear was cut off and given to the Matador as a token of good luck. All of Ferruccio Lamborghini's companies continue to operate today in one form or another. His son, Tonino, designs a collection of clothing and accessories under the Tonino Lamborghini brand, as well as designing the Town Life, an electric microcar which was revealed at the Bologna Motor Show in 1999. Ferruccio's daughter, Patrizia Lamborghini, runs the Lamborghini winery on his Umbria estate. In 1995 Ferruccio's son Tonino opened a museum that honors Lamborghini's legacy, the Centro Studi e Ricerche Ferruccio Lamborghini in Dosso (Ferrara), which was moved to Argelato (Bologna) in 2014 with the new name Ferruccio Lamborghini Museum. ^ Sources do not agree on Ferruccio Lamborghini's area of study. Jolliffe and Willard state that Lamborghini studied engineering, but did not obtain a degree due to his military service obligations. Sackey states that Lamborghini studied industrial design. Lyons et al. state that Lamborghini earned an "industrial arts" degree then pursued an apprenticeship in a Bolognese mechanical shop prior to joining the Italian Royal Air Force. Wood states that Lamborghini was drafted upon graduating in 1940. ^ The exchange between Enzo Ferrari and Ferruccio Lamborghini is often cited as a primary factor that motivated Lamborghini to become an auto manufacturer. However, the story is as much the stuff of legend as it is of fact. In a 1991 Thoroughbred & Classic Cars interview, Lamborghini said that after the clutch problems <with his Ferrari> continued to go unresolved, "I decided to talk to Enzo Ferrari. I had to wait for him a very long time. 'Ferrari, your cars are rubbish!' I complained. Il Commendatore was furious. 'Lamborghini, you may be able to drive a tractor but you will never be able to handle a Ferrari properly.' This was the point when I finally decided to make a perfect car." 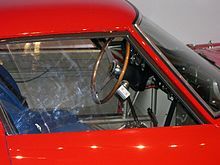 Other versions of the story center around several basic points: Lamborghini visited Ferrari; proceeded to challenge, deride or demand improvements to his car from Ferrari; and was dismissed as a mere tractor manufacturer by Ferrari. Whether Lamborghini's spite was enough of a reason to enter the auto manufacturing business, or if the exchange inspired further business interests or merely served as an anecdote, is unknown. Sackey writes that the economic motives for entering the high-profit-margin sports car business far outweighed Lamborghini's personal sentiments. In the 1991 Thoroughbred & Classic Cars interview, Lamborghini states that "Ferrari never spoke to me again. He was a great man, I admit, but it was so very easy to upset him." ^ Lyons et al. 1988, p. 12. ^ Lyons et al. 1988, p. 11. ^ Jolliffe & Willard 2004, p. 15. 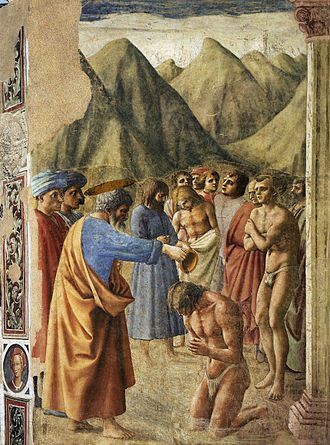 ^ "Certificato di battesimo" [Certificate of Baptism]. renazzo.com. Archived from the original on 2012-08-10. Retrieved 2012-08-10. ^ Sackey 2008, p. 14. ^ a b c Wood, Jonathan (1993-02-23). "Obituary: Ferruccio Lamborghini". The Independent. London, England: independent.co.uk. ISSN 0951-9467. Archived from the original on 2012-08-05. Retrieved 2012-08-04. ^ a b "Automobili Lamborghini Holding S.p.A. Company History". Retrieved 2009-08-13. ^ Jolliffe & Willard 2004, p. 16. ^ a b c d e f g "Interview with Ferruccio Lamborghini". Thoroughbred & Classic Cars 12. January 1991. ^ Jolliffe & Willard 2004, p. 17. ^ "Riva Lamborghini » One-off Riva". www.rivalamborghini.com. 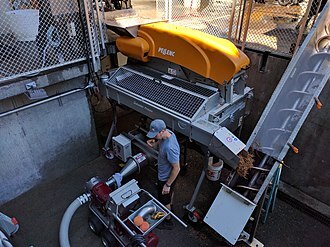 Retrieved 2017-09-19. ^ a b c Jolliffe & Willard 2004, p. 18. ^ Interview with Ferruccio Lamborghini (Television). Italy: RAI. ^ Michael L. Rose (2003). 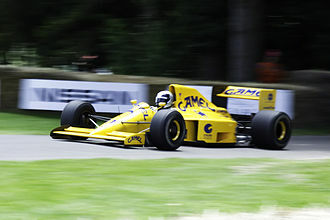 Great Cars (Documentary). United States: Michael Rose Productions. ^ "Museo Storico Gruppo Same". Retrieved 2009-08-17. ^ a b Jolliffe & Willard 2004, p. 48. ^ Jolliffe & Willard 2004, p. 46. ^ a b "Lamborghini Wines". 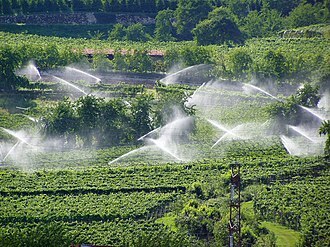 Tenuta Patrizia Lamborghini Srl. Archived from the original on June 7, 2008. Retrieved 2009-08-17. ^ Lyons et al. 1988, p. 30. ^ a b Cowell 1993. ^ Lyons et al. 1988, p. 34. ^ Lieberman, Jonny (September 12, 2007). "The Baddest Bull: Lamborghini Miura Vs Countach Vs Murcielago LP640". ^ "The Lamborghini Diablo, an Italian Devil" (PDF). Lambocars. Retrieved 2014-09-21. ^ "Gallardo – The Name". Lamborghiniregistry.com. 2003-11-22. Archived from the original on April 13, 2009. Retrieved 2009-08-16. ^ "Town Life Magic Night". COPLASS.it. Retrieved March 11, 2015. ^ "Lamborghini Family Museum". European Car. Retrieved 2014-09-21. Cockerham, Paul W. (September 1996). Lamborghini: The Spirit of the Bull (Hardcover ed.). New York City, New York: Smithmark Publishers. ISBN 978-0765196262. Retrieved 2012-08-05. Cowell, Alan (1993-02-22). "Ferruccio Lamborghini, 76, Dies; A Top Maker of Stylish Sports Cars". New York Times. New York City, New York: The New York Times Company. ISSN 0362-4331. Archived from the original on 2012-08-11. Retrieved 2012-08-11. Jolliffe, David; Willard, Tony (2004-09-19). Lamborghini: Forty Years (Hardcover ed.). St. Paul, Minnesota: Motorbooks. doi:10.1007/b62130. ISBN 978-0760319451. Retrieved 2012-08-03. Lawrence, Mike (1996-10-07) . A to Z of Sports Cars, 1945–1990: The Encyclopaedic Guide to More Than 850 Marques and Thousands of Models (Paperback ed.). St. Paul, Minnesota: MBI Publishing Company. ISBN 978-1870979818. Retrieved 2012-08-05. Lyons, Pete; The Auto Editors of Consumer Guide (1988-06-09). The Complete Book of Lamborghini (Hardcover ed.). Woodstock, New York: Beekman House. ISBN 9780854297351. Sackey, Joe (2008-11-15). The Lamborghini Miura Bible (Hardcover ed.). Dorchester, England: Veloce Publishing. ISBN 978-1845841966. Retrieved 2012-08-05. Schleifer, Jay (May 1993). Lamborghini: Italy's Raging Bull. Crestwood House. ISBN 978-0896866980. Lamborghini Calor S.p.A. (formerly Lamborghini Bruciatori) Heating and cooling equipment; now a subsidiary of Ferroli S.p.A.
Lamborghini Oleodinamica Hydraulic equipment; now a brand of Oleodinamica SEGUINI S.r.l. 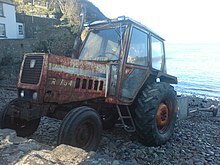 Lamborghini Trattori S.p.A. Farm tractors; now a subsidiary of SAME Deutz-Fahr S.p.A.
As summed up by one historian, by the end of the 1970s, social security coverage had been made comprehensive and relatively generous. The material standard of living had improved for the great majority of the population. In addition, the creation in 1957 of the European Common Market, of which Italy was among the members, provided more investments. The above-mentioned highly favorable historical backgrounds, combined with the presence of a large and cheap stock of labour force, the Italian economy experienced an average rate of growth of GDP of 5. 8% per year between 1951–63, and 5. 0% per year between 1964-73. Italian rates of growth were second only, but very close, to the German rates, in Europe, in 1963, US President John F. The impact of the miracle on Italian society was huge. Fast economic expansion induced massive inflows of migrants from rural Southern Italy to the cities of the North. 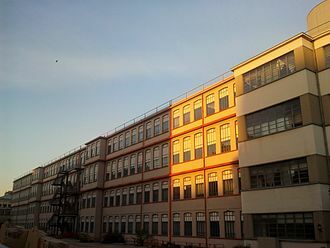 Emigration was especially directed to the factories of the industrial triangle. 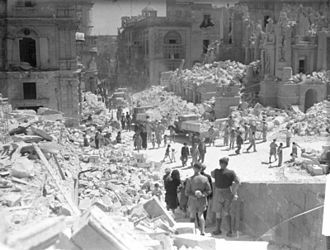 Between 1955 and 1971, around 9 million people are estimated to have involved in inter-regional migrations in Italy, uprooting entire communities. The needs of an economy and society created a great demand for new transport. A concomitant boom of the real market, increasingly under pressure by strong demographic growth and internal migrations. Vast neighborhoods of low-income apartments and social housing were built in the outskirts of cities, leading over the years to severe problems of congestion, urban decay. At the same time, the doubling of Italian GDP between 1950 and 1962 had a impact on society and culture. From 1951 to 1971, average per capita income in real terms trebled, in 1955, for instance, only 3% of households owned refrigerators and 1% washing machines, while by 1975 the respective figures were 94% and 76%. In addition, 66% of all homes had come to possess cars, in 1954 the national public broadcasting RAI began a regular television service. Economic history of Italy Economic miracle Post–World War II economic expansion Years of Lead, rivista di storia economica 19#2 pp, 139-180, in English Rota, Mauro. 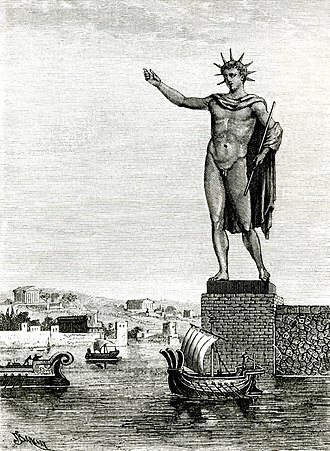 Credit and growth, reconsidering Italian industrial policy during the Golden Age, European Review of Economic History 17#4 pp, 431-451. Umbria, is a region of historic and modern central Italy. It is the only Italian region having neither a coastline nor a border with other countries and it includes the Lake Trasimeno, Marmores Falls, and is crossed by the River Tiber. Umbria is known for its landscapes, history, culinary delights, artistic legacy, and influence on culture. Contained within Umbria is Cospaia, a republic created by accident that existed from 1440 to 1826 Umbria is bordered by Tuscany to the west, Marche to the east. It is the only Italian region having neither a coastline nor a border with other countries. The commune of Città di Castello has an exclave named Monte Ruperto within Marche. Umbria is crossed by two valleys, the Umbrian valley, stretching from Perugia to Spoleto, and the Tiber Valley, west of the first one, the Tiber River forms the approximate border with Lazio, although its source is just over the Tuscan border. The Tibers three principal tributaries flow southward through Umbria, the Chiascio basin is relatively uninhabited as far as Bastia Umbra. About 10 kilometres farther on, it joins the Tiber at Torgiano, the third river is the Nera, flowing into the Tiber further south, at Terni, its valley is called the Valnerina. The upper Nera cuts ravines in the mountains, the lower, in antiquity, the plain was covered by a pair of shallow, interlocking lakes, the Lacus Clitorius and the Lacus Umber. 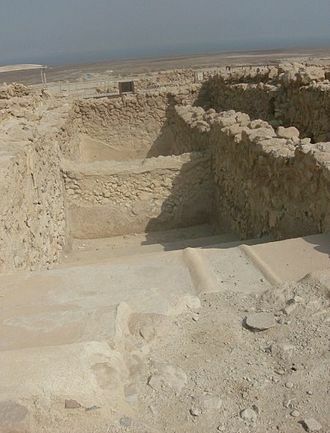 They were drained by the Romans over several hundred years, an earthquake in the 4th century and the political collapse of the Roman Empire resulted in the refilling of the basin. The eastern part of the region, being crossed by many faults, has often hit by earthquakes, the last ones have been that of 1997. In literature, Umbria is referred to as il cuore verde dItalia, the phrase is taken from a poem by Giosuè Carducci, the subject of which is the source of the Clitunno River in Umbria. The region is named for the Umbri people, an Italic people which was absorbed by the expansion of the Romans, the Umbris capital city was Gubbio, where today is housed the longest and most important document of any of the Osco-Umbrian group of languages, the Iguvine Tablets. 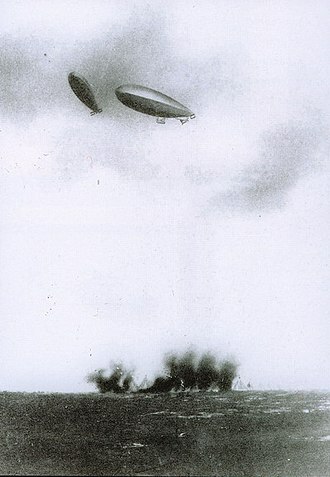 16 May 1912: surrender of the Turkish garrison in Rhodes to the Italian general Ameglio near Psithos. 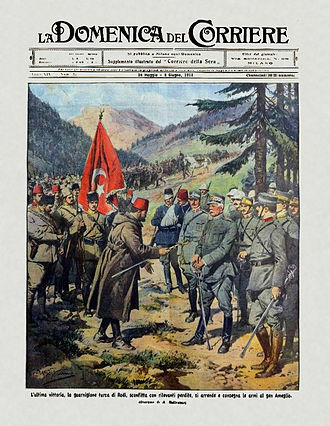 (From Italian weekly La Domenica del Corriere, 26 May – 2 June 1912). Downtown Milan in the 1960s. One of a number of posters created to promote the Marshall Plan in Europe. A Lettera 22 typewriter by Olivetti. The Fiat 500, launched in 1957, is considered a symbol of Italy's economic miracle.